Scarlett Darby is an animal lover who decided she wanted to fill her house with furry creatures. 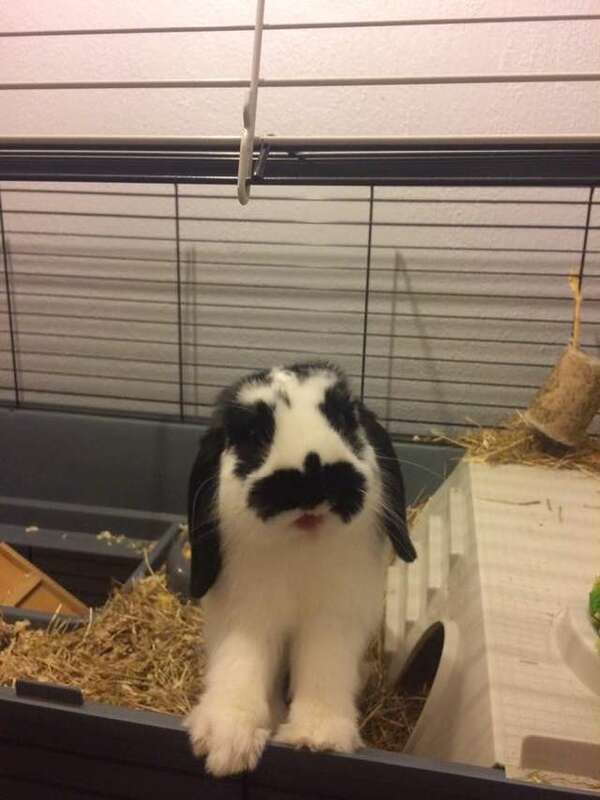 The first animal she adopted was a lop-eared bunny named Beau. Scarlett was amazed by how friendly Beau was—he loved cuddling with her and her family. 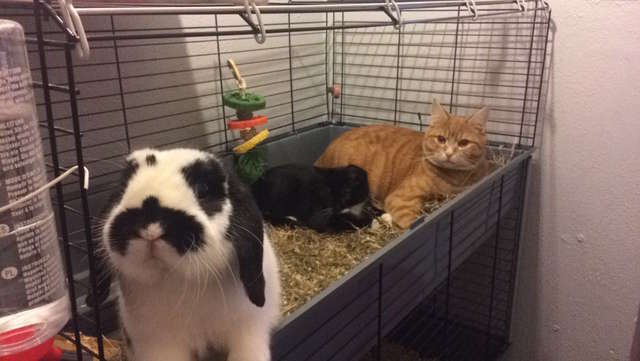 After she’d had Beau for a while, Scarlett decided she wanted to adopt a cat. She chose a sweet ginger cat named Ninji. When Scarlett first brought Ninji home, she worried he and Beau wouldn’t get along. She nervously introduces the two to each other, but it turned out that she had nothing to worry about. The two quickly bonded! A few days after Scarlett adopted Ninji, the cat jumped into Beau’s enclosure. Scarlett wasn’t sure what he was doing at first, but then he began cuddling with the rabbit. Ninji began spending more and more time with Beau in his enclosure. Scarlett never left them alone, just in case, but she didn’t have anything to worry about. 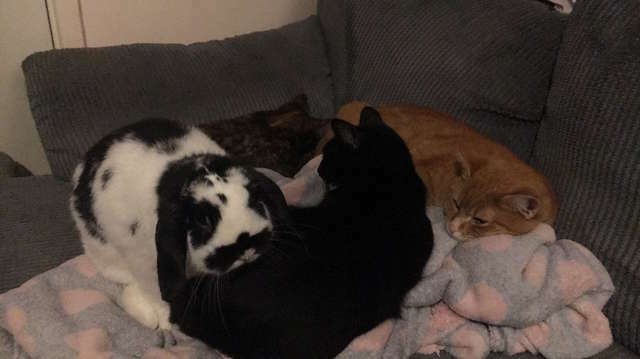 All the rabbit and cat wanted to do was cuddle. Scarlett and her family adopted two more cats, Nibbler and Lola. Both cats got along well with Beau, and they also enjoyed spending time in his enclosure. “If he’s not happy with the cats being in his territory he does let them know by thumping/kicking his feet, but usually he’s excited that his cat siblings are sitting with him,” Scarlett said. Beau and the cats also enjoy cuddling together on Scarlett’s couch. Sometimes, it seems like Beau thinks he’s also one of the cats. 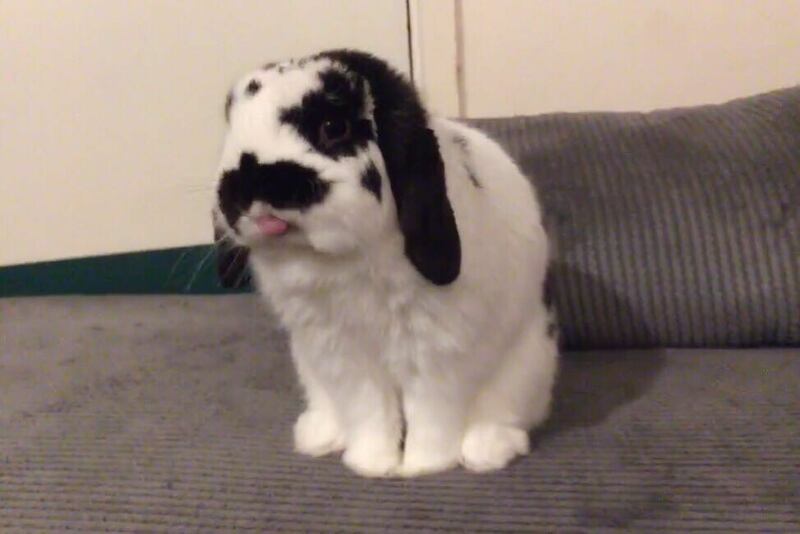 Scarlett shares Lola, Nibbler, Ninji, and Beau’s adventures on their Instagram page. 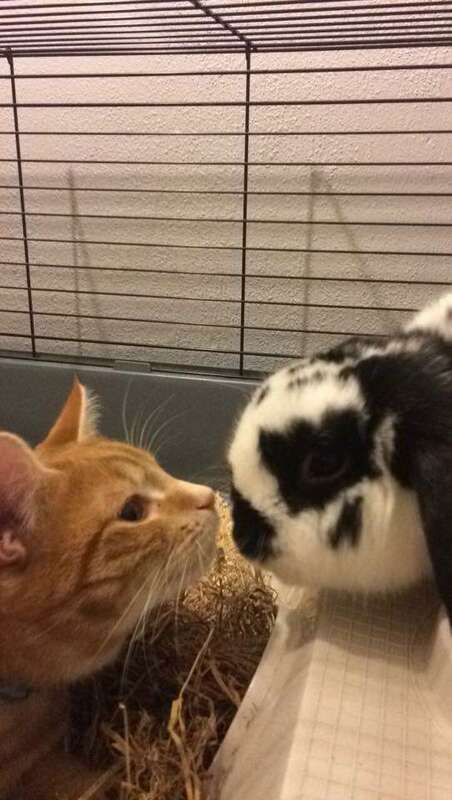 The photos and videos show how much fun the cats and rabbit have together. 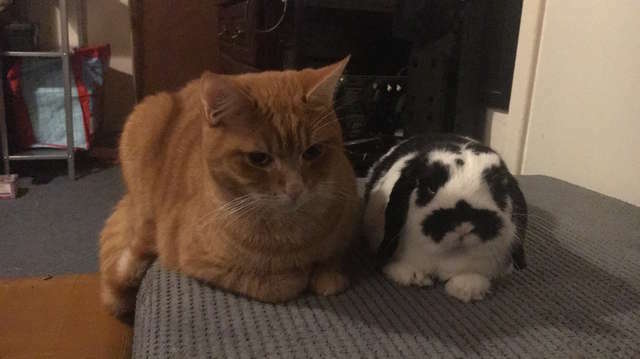 Scarlett is thrilled that all her pets get along, and she loves Beau’s unique personality. 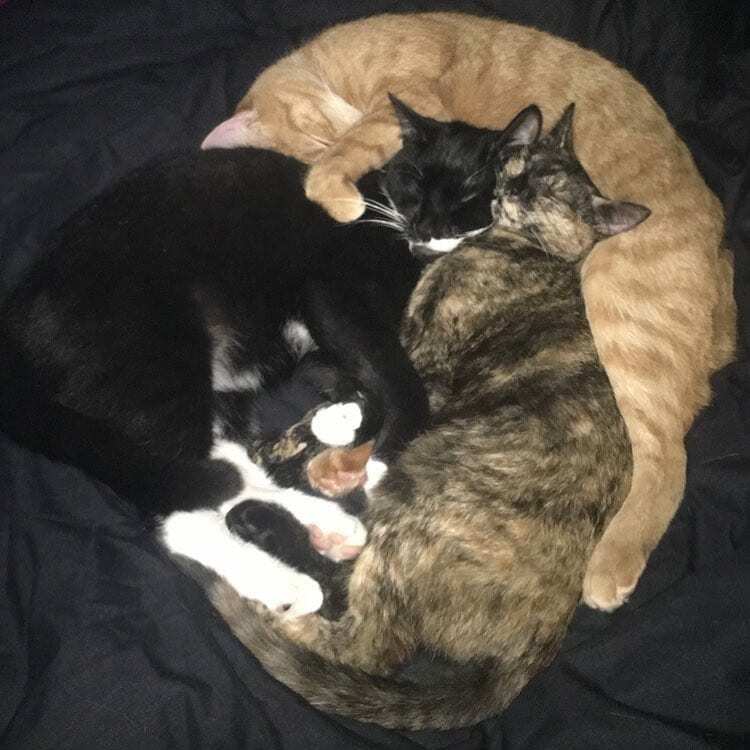 Beau, Ninji, Nibbler, and Lola are an adorable set of furry siblings who get along well despite being from different species! If you want to see more cute photos and videos of these cats and rabbit, check out their Instagram page.